The 3.0 liter diesel engine found in the X3 xDrive30d made its debut this past year when the F10 530d went on sale. Sporting a 3.0 liter straight-six engine, the X3 xDrive30d outputs 245 horsepower and 400 lb-ft of torque, flat-lining from 1750 through to 3000 rpm. It has an all-aluminum crankcase, common rail direct injection of the last generation and a thermodynamically optimized turbocharger with variable intake geometry. The fuel is up to 1,800 bar placed in the combustion chambers, which allows for particularly efficient combustion. 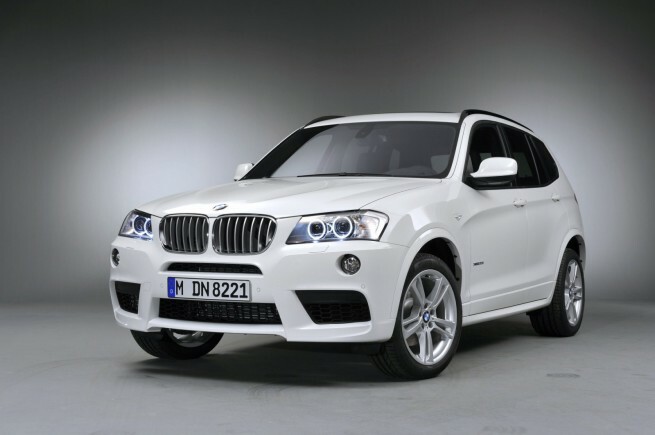 The turbo diesel engine helps the X3 accelerate to 100 km/h in 6.2 seconds and a maximum speed of 155 mph. Thanks to BMW BluePerformance technology it fulfills the EU6 emission standard and it offers impressive fuel consumption, 6.0 liters per 100 km, approximately 39.2 mpg and CO2 emissions of 159 grams. BMW has yet to announce their X3 diesel plans for the North American market, but building on the success of the X5 xDrive35d, we expect in 2011 to see its X3 counterpart.